The corporate mug holds the core shape of the stylish marrow whilst attaining the angular lines of the Sparta mug handle. Ideal for offices and businesses it’s a promotional mug that will stand out on any desk. 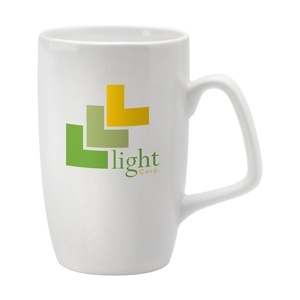 Available in a classic white, or contrasting black, the corporate mug has a large print area, meaning there's room for any company logo or message to be printed. Available on Fast Track service.